Both 3GT Racing Lexus RC F GT3s finished in the top-10 of the GTD class at the Watkins Glen IMSA WeatherTech Championship race this weekend. 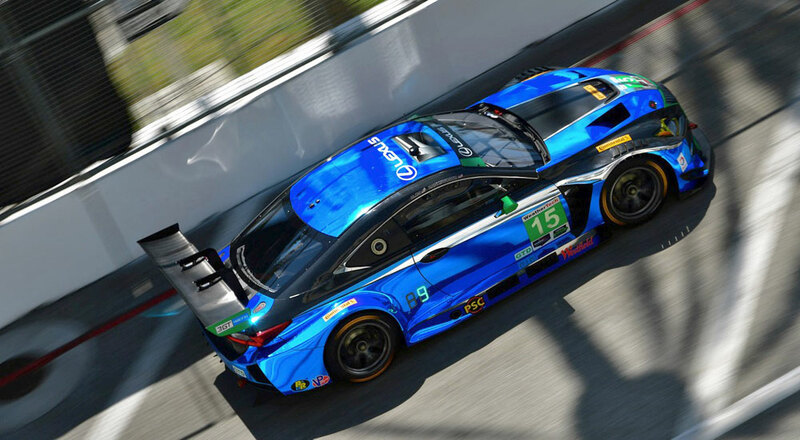 The #15 RC F GT3 driven by Jack Hawksworth, Robert Alon, and Austin Cindric earned the team’s first top-five result of the season, while the #14 RC F GT3 driven by Scott Pruett, Sage Karam, and Austin Cindric finished sixth for third consecutive race. “We’re very happy with the way the Lexus RC F GT3s are showing consistent pace throughout each race weekend. To get both cars in the top-six during the six hour race and to see Jack (Hawksworth) fight all of the way back up to fifth to finish the race it shows that our Lexus’ have great pace. The 14 Lexus finished sixth and Jack had the fastest lap in the GTD class so this sets the stage going into the second half of the season.